・Burand, Debora. 2007. “Chapter6. 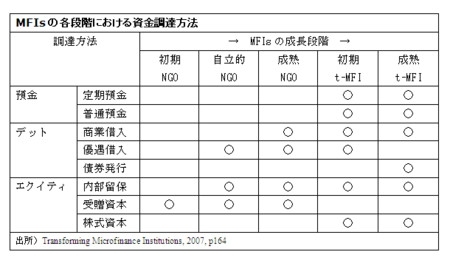 : The funding structure”, Transforming Microfinance Institutions, p163. ・Saltzman,Sonia. and Darcy Salinger. 1998. “The ACCION CAMEL – Technical Note”, Accion International, USAID – Microenterprise Best Practices (MBP) Project. p137.